Becoming a teacher is a huge commitment for anyone, but choosing to teach those who are learning English as a second language (ESL) is a true calling. TESOL is an acronym that stands for Teachers of English to Speakers of Other Languages and encompasses TESL and TEFL programs. TESOL is a generalized degree, typically at the Masters level, that allows educators to teach non-native speakers the English language. Earning a Master's degree in TESOL can be beneficial to moving an education based career forward. Those who hold Master's degrees will be in higher demand and be offered a higher pay scale. A Master's in TESOL will often also offer opportunities to work with highly diversified populations, including some opportunities that may open up in different countries. Program accreditation will help to determine if a school is legitimate or not. School accreditation is achieved by a process of peer review by an official organization or agency representing the field. The Council for the Accreditation of Educator Preparation (CAEP) handles program accreditation for teacher preparation programs. The US Department of Education offers additional useful information about the accreditation process. How Long Has the Program Been Offered? Finding out how long an online TESOL program has been offered will help you assess the success of the program. In general, the longer the better. However, keep in mind that online education is relatively new learning medium. Look for a school that has been around for a few years and as achieved full accreditation. If a TESOL program is not accredited, your master's degree will not be valid. What Technologies Will Be Used to Facilitate Online Learning? Technology is a major component of online TESOL programs. Online programs use different digital learning platforms to facilitate instruction. These programs act as virtual classrooms where instructors post multimedia lectures and where students can communicate with peers as well as gain access to assignments. Before signing on to an online TESOL program, find out about the technologies that will be used. What Resources Will I Have Access To? Online schools may give their TESOL students access to resources such as scholarly journals, videos, research databases, and mentorship programs. Other student services such as technology assistance and advising may also be available. Many students rely on such resources as a way to aid their studies. Not all schools provide the same resources, so it will be a good idea to find out about these resources beforehand. What Skills and Topics Are Covered? Find out what the program's learning outcomes are. In other words, what are the goals of the master's in TESOL program? What skills and knowledge should you have gained upon completion? Good programs will be able to present a thorough and organized curriculum upon request. As a way to see if the TESOL program is right for you, see how the program goals align with your career goals. Do You Have Job Placement Information for Students Who Recently Graduated from the Program? Recent graduates and alumni are often great career resources. These individuals can help you assess if a program is right for you. Find out what recent graduates have been able to accomplish as a result of their online Master's Degree in TESOL. If given the opportunity to connect with such individuals, ask for advice regarding online learning. Earning a degree can be a time consuming and expensive process. For those already working in a related field or for those who wish to work in the realm of education with TESOL students, an online program may offer the opportunities needed with much less hassle. Online programs have become a very popular and reputable way to earn a degree. 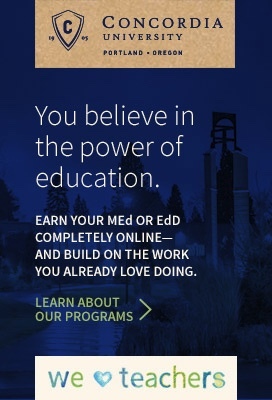 Many schools offer accredited online degree programs. Many TESOL programs are offered fully online. This offers the benefit of going to class on your own schedule while allowing time for work, family, and other obligations. Online degree programs are perfect for adult students who need flexibility. This route allows students to study and complete assignments at home at a time of their choosing. Online programs allow students to maintain a schedule of their choosing, rather than reorganizing their life for their studies. Online schooling takes away the worry of missing classes because of work or other family obligations. Online schooling options can even help cut costs, since commuting and parking expenses will be eliminated. In many cases, people choose online degree programs because the flexible schedule allows them to continue working in order to maintain their source of income. Even with online programs, you will be able to apply for financial assistance through FAFSA. Online classes require a lot of self-discipline. Self-starters, or students who can motivate themselves, often do really well in such programs. Online students will not have a face-to-face instructor to guide them and constantly remind them of upcoming tasks. With that said, if you are able to plan your studies and remain organized, you will be able to find success in an online learning environment. This class introduces the learner to different forms of assessment for English language learners at different levels of English acquisition. This class examines linguistic principles, processes, and theories as related to cognitive development and language acquisition for learners of a second language at different ages. This class aids the future teacher in teaching grammar and grammatical structures to those learning English as a second language. There is a cultural component to this class. Most holders of this type of degree will find themselves in a classroom of some type. TESOL degree holders could potentially teach adults or students at various ages within the school system. Those in the school system will work in a classroom or in a pull-out program with small groups or individual students. Smaller schools or school districts with a small ESL population may have TESOL teachers who work in more than one school. TESOL teachers may be required to not only teach English, but work with students to understand a variety of subject areas that are being taught in English. Learn more about a career as an ESL teacher. TESOL certified individuals may also find employment in other countries in which students or adults want to learn English as a second language. The settings would vary widely depending on the exact nature of the job and the country in which one was employed. With a degree in TESOL, students can become language specialists around the world. These individuals will likely instruct teachers in courses regarding language assessment, acquisition, discourse, and second language pedagogy. A third available option for individuals with a TESOL certification is to serve as an advisor or teacher online. This could offer a work from home option for those who may need more flexibility. Another way to advance your career as a TESOL teacher is to take part in conferences and professional organizations. The TESOL International Association aims to advance excellence in English language teaching. The members of this organization are from all parts of the world and work in a variety of educational settings. Through such associations and organizations, TESOL professionals can participate in conferences, expos, and webinars as a way to continuously grow within the field.